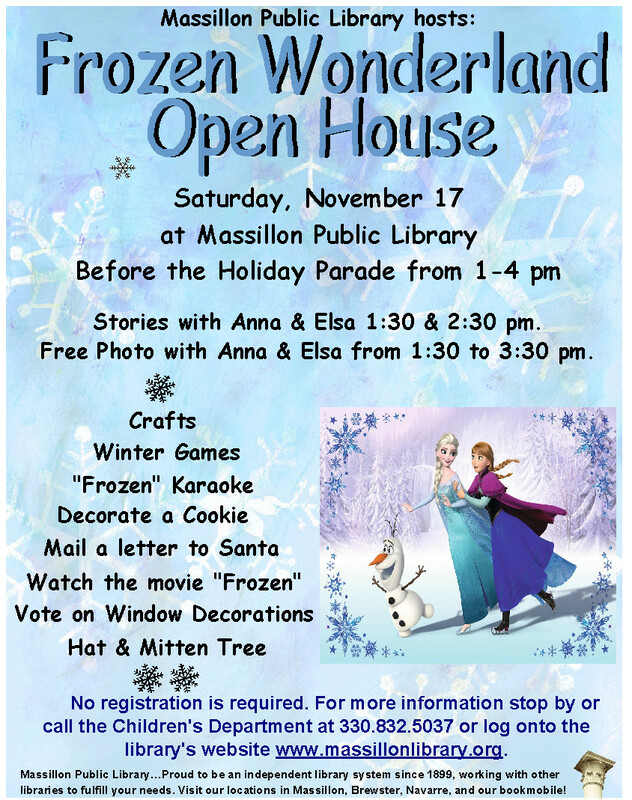 Join us before the Holiday Parade for a Frozen-themed Winter Wonderland at the library! Enjoy crafts, winter games, Frozen Karaoke, cookie decorating, and more! Watch the "Frozen" movie in the auditorium, write a letter to Santa, and vote on the Children's Department window decorations. There will be story time with Anna & Elsa at 1:30 and 2:30 p.m. and kids can get a free photo with Anna & Elsa from 1:30 to 3:30 p.m.
Stop in any time between 1:00 p.m. and 4:00 p.m. to participate. No registration required.